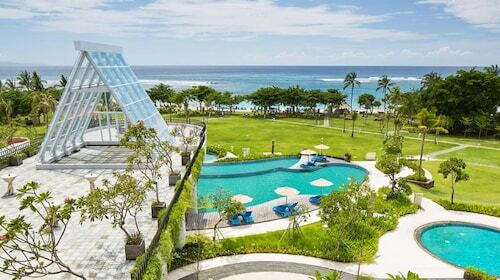 Expedia Nusa Dua holiday packages will help you save money! Combining your bookings will give you more cash to splash for your amazing adventure. Reserve your travel package on Expedia and save up to $200*. Look through our universal database of more than 400 partner airlines and 321 000 worldwide properties. Too many to choose from? Don't worry — we'll help you decide! 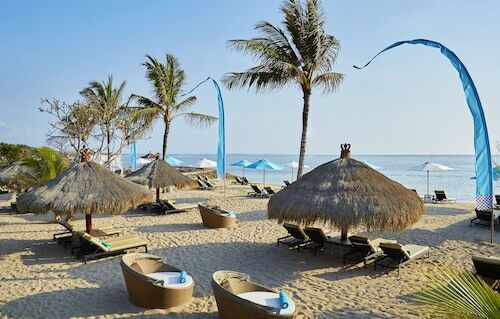 As you roam around appreciating the city's sights and sounds, don't forget to keep an eye out for Nusa Dua Beach and Tuban Beach. These fantastic sights are sure to be one of the highlights of your holiday. Ready to leave the mainland for a while? You'll find a heap of fascinating things to do just across the water on Moon Cot Sari Turtle Farm. Travellers in this destination have a great range of options. Wanting to impress that special someone? Take them for a sunset stroll along the shoreline at Geger Beach. Still have time on your hands? Veteran's Monument stands as an important reminder of history. Find out why this commemorative structure was commissioned and gain a better understanding of the local heritage and achievements. Travel isn't just about ticking off destinations. It's about the people we come across and the adventures we have on the way! For more activities, go to our Nusa Dua things to do page. Wrap up your day of adventures with a nice comfy bed and a soft pillow. 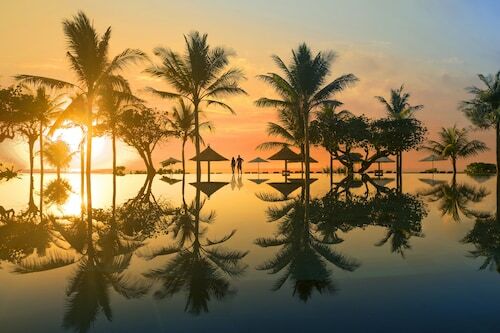 View the 528 properties in Nusa Dua available via Expedia and select one for your cheap holiday or luxury getaway. 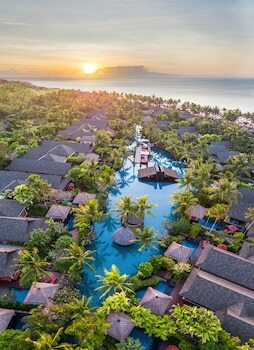 It's not every day you get to spend time away, so why not spend a few nights in a posh room at The Villas at AYANA Resort, BALI (Karang Mas Estate) or the Four Seasons Resort Bali at Jimbaran Bay (Kuta Selatan)? With five-star service and first-rate amenities, you're bound to feel like a rock star! If your holiday piggy bank isn't as full as you imagined it would be, the Green Garden Hotel (Jalan Kartika Plaza South Kuta Beach) and the La Walon Hotel (Poppies Lane) are a couple of low-priced options. An unforgettable experience as beautiful birds and butterflies fly all around you in this wonderful park. Whether you want to hit the waves, or just relax with a cool drink, this idyllic beach provides the perfect ocean-front experience. From the easy-going atmosphere in the village to the uncrowded clear blue waters at the beach this is a sanctuary amidst the hustle and bustle of southern Bali. 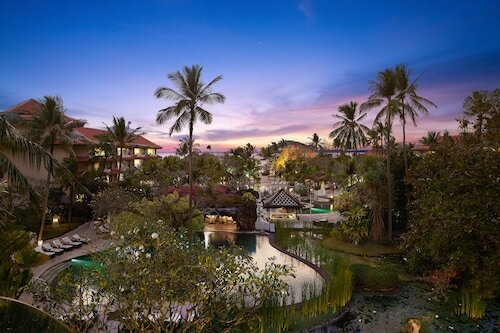 Whether you’re searching for spectacular ocean views, flawless waves, romantic sunsets or a thriving nightlife, this stretch of the Balinese coast has something for you. Auckland Intl. - Ngurah Rai Intl. Sun., 4 Aug. - Tue., 13 Aug. Tue., 10 Sep. - Mon., 23 Sep.